Over the course of four dazzling novels translated into dozens of languages, Sjón has earned a global reputation as one of the world’s most interesting writers. 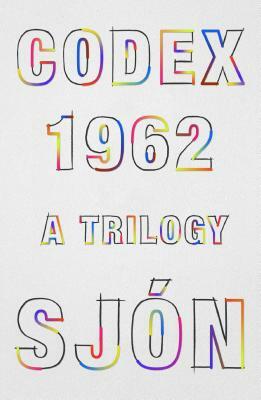 But what the world has never been able to read is his great trilogy of novels, known collectively as CoDex 1962—now finally complete. Josef Löwe, the narrator, was born in 1962—the same year, the same moment even, as Sjón. Josef’s story, however, stretches back decades in the form of Leo Löwe—a Jewish fugitive during World War II who has an affair with a maid in a German inn; together, they form a baby from a piece of clay. If the first volume is a love story, the second is a crime story: Löwe arrives in Iceland with the clay-baby inside a hatbox, only to be embroiled in a murder mystery—but by the end of the volume, his clay son has come to life. And in the final volume, set in present-day Reykjavík, Josef’s story becomes science fiction as he crosses paths with the outlandish CEO of a biotech company (based closely on reality) who brings the story of genetics and genesis full circle. But the future, according to Sjón, is not so dark as it seems. In CoDex 1962, Sjón has woven ancient and modern material and folklore and cosmic myths into a singular masterpiece—encompassing genre fiction, theology, expressionist film, comic strips, fortean studies, genetics, and, of course, the rich tradition of Icelandic storytelling.